Below are some examples of how JorMall's business text messaging can be used, along with an example scenario and an example text message. We hope this helps. Example in practice – A customer logs onto your website and purchases a pair of shoes, immediately after buying they receive a text with the details of the purchase and a thank you. A day later they receive another text message saying their order is out for delivery, and a final message after their order has been delivered saying thank you. Example in practice – A staff member has put in a request for some shifts but is not able to come into the workplace to check which shifts they have got. Using an automated system you can send a message to the employee with the date of the shift, along with the start and finish time and a link to a full list of their shifts. Example in practice – One of your customers has come onto your website and used your online chat service, they spoke to one of your team members about a problem they were having with the system. 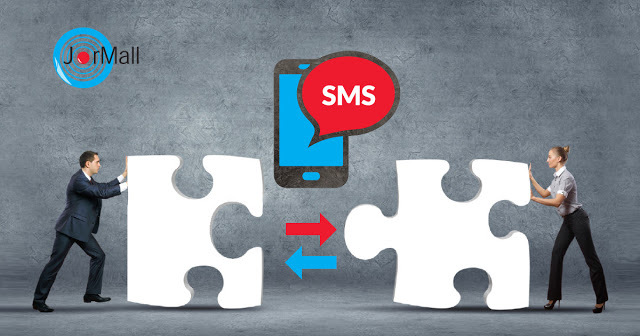 After you have finished the conversation and fixed the issue you can send them an SMS survey with a couple of questions to find out if the team member was helpful, if the problem was fixed and if they would recommend you to a friend of family member – take a look at our JorMall SMS services. Example in practice – A customer has come onto your website with an issue with one of the products they have bought. They do not want to spend a long time on the phone and possibly on hold so they decide to use your texting service. They message you with their problem and wait for a reply. Example in practice – One of your customers tries ringing you as they need to make an appointment, but unfortunately they cannot get through as the lines are busy. They go onto your website and see they can make an appointment using their mobile phone. They enter their mobile phone number and hit enter. A couple of seconds later they receive a text with a link on it, this takes them through to what looks like a professional appointment booking system. After they enter their details and a couple of screens later they have made an appointment. Example in practice – A customer has just called up and booked an appointment next Wednesday at 13.30 pm. You sent a text messaging saying thank you for the booking, and confirmed the time and date, to ensure that it is correct. The day before, you send them a message with their appointment details on reminding them of their appointment with you. Example in practice – Your company has lots of customers with unpaid debts. You have tried chasing them up by phone and even sent a letter, but only a handful have responded.